ADMIT CARD OF EVEN SEMESTER FINAL EXAMINATION WILL BE DISTRIBUTED ON AND FROM 14th JUNE, 2018. 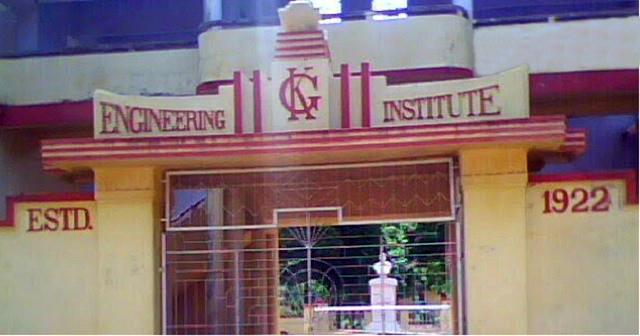 K.G.Engineering Institute, Bishnupur, is one of the oldest Government Polytechnics in India. This is situated in the heart of Bishnupur town which was the capital of the famous Mallarajas enriched by its art and culture recognised and appreciated by the people around the Globe. The Institute has a great Mission since its inception and has slowly grown from a small Industrial School set up in 1922 to a full-fledged Polytechnic in 1949. Appreciating the performance of the Institute in the field of Technical Education, the Government of West Bengal took it over as a Government Polytechnic with only three courses , namely, Licentiate in Civil Engineering, Mechanical Engineering and Electrical Engineering. Through continuous and concerted efforts put in by a competent team comprising of the faculty members, the staff members, the higher administration and the Government, the Institute is at present running five courses, namely,Diploma in Civil Engineering, Mechanical Engineering, Electrical Engineering, Electronics & Tele-communication Engineering, and Computer Science & Technology with a total annual intake of 270 students. Apart from teaching the students in the Classrooms, Laboratories and Workshops, special efforts are given for extra-curricular activities for mental and physical growth of the students by organising indoor and outdoor games, sports, educational tours to various industries, interaction with well-placed ex-students, and taking part in Science & Technology competitions. The Institute always does try to maintain cordial relations among the students, the staff members and the local people, and there has been no instance of any major conflict or loss of class-hours due to any untoward incidence.